Dylan phreak beginning to the end. 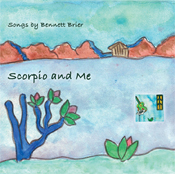 Bennett Brier created a new Album: "Scorpio and Me". www.bennettsongs.com I was born in Beaumont, Texas, and lived his teenage years in Houston. I served as a VISTA volunteer in Arkansas, and currently reside in Austin. I hope to soon retire to a life ...View Morewww.bennettsongs.com I was born in Beaumont, Texas, and lived his teenage years in Houston. I served as a VISTA volunteer in Arkansas, and currently reside in Austin. I hope to soon retire to a life of musical creativity as soon as possible! I have composed music for over 40 years and has written almost 200 songs to date. I am a member of BMI® , the Nashville Songwriters Association International (NSAI) ®, and the National Academy of Recording Arts & Sciences, Inc. - Texas Chapter. My songwriting is recognized by the Southern Songwriters Guild and by Songwriter's Monthly magazine. A friend and I performed in Austin as the duo, the Stragglers. If it must, my music can be classified as contemporary folk, AAA, Adult Contemporary, Americana, or folk-rock. I blend folk, blues, country, rock, pop, and bluegrass influences into my work. My major musical influences are Bob Dylan and Austin, Texas. When I was 17, I saw Bob Dylan perform twice the same night during his "comeback" tour and left those concerts overwhelmed and transformed by the raw poetry and timelessness of his music, words, and performance," says Bennett. "Inspired by these shows, I learned to play guitar and began writing songs. One day I wrote something really good that seemed to come from a place I never knew existed. I realized then that maybe I could write songs that mean something to myself and to others. The greatest little club that ever was in Austin, was called emmajoes, with a small "e". For $3 dollars tops, night after night after night, I could watch and listen to folks like Nanci Griffith, Butch Hancock, Lyle Lovett, Townes Van Zandt, David Halley, Lucinda Williams, Robert Earl Keen, and Jimmie Dale Gilmore! 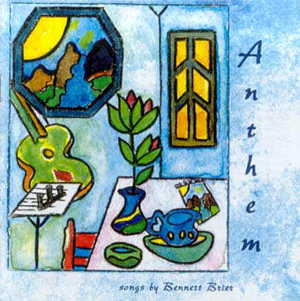 ANTHEM, is my 1st album of original music released in 1999, was recorded with the help of such outstanding musicians as Van Wilks, Christine Albert, Jay Sims, Jeri Arsenault, Chris Maresh, Art Kidd, Conrad Deisler, Deb Schnack, Richard Bowden, Joe "King" Carrasco, Gene Elders, and his daughter, Jessica. ANTHEM has received airplay in the US, Belgium, The Netherlands, France, Italy, and Slovenia and was even pirated in Sweden. They say that you spend your whole life making your first album. I feel that with my first CD "Anthem", for whatever it is worth, I've realized a lifelong dream to share, through my words and music, something timeless about myself. 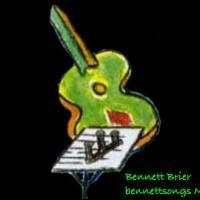 SCORPIO AND ME, Bennett's 2nd album of original songs was released in September, 2010. Jay Sims sings lead vocals and Stephen Doster plays lead guitar on this album. As noted, it is said one spends your whole life making your first album. With my second album, I offered more of myself than simply what I've long hoped to do. First, with Anthem, and now, with Scorpio and Me, for whatever it is worth, I am lucky to share, through my words and my music, something timeless about myself. You can contact me at bennett.brier@outlook.com. Bennett Brier created a new Album: "Anthem".